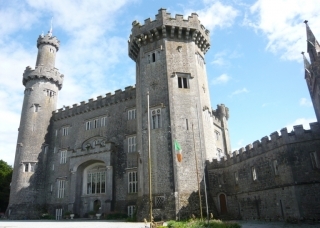 We are pleased to welcome you on the Charleville Castle website. 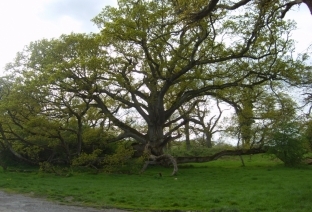 Located in County Offaly, in the Midlands of Ireland, and bordering the town of Tullamore near the Shannon River, Charleville Castle is situated in Ireland's most ancient primordial oak woods, once the haunting grounds of Ireland's druids. Charleville Castle grew from paper doodles in early 1798 to grandiose plans by the end of that very eventful year in Ireland. It was built by Charles William Bury, Earl of Charleville and was designed by Francis Johnston, one of the leading architects of the day. Charleville Castle is said to be the finest example of gothic-revival architecture in the country. This is a veritable gothic castle of grand proportions. It owes its "Tin Soldier Fortress" look to the celebration of victory over the third French revolutionary expedition to Ireland - the first decisive victory by Britain over the revolutionary republican movement, which was sweeping across the monarchies and their colonies at that time. It took fourteen years to complete this gothic dream, a monument not only to a now forgotten power, but also to the people who made it possible, the Irish craftsmen and impoverished people. Every Tuesday night from July 3rd until August 7th, 2012.